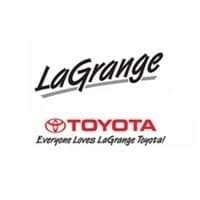 For 40 years, LaGrange Toyota has served the Auburn, AL, area with new and used vehicles, auto financing, vehicle service and repairs, and Genuine Toyota parts. Our philosophy has always been to treat customers like family – because we’ve always been a family-owned business. That philosophy has apparently paid off because Toyota has honored us with the President’s Award for 28 years in a row! LaGrange Toyota is a valuable car shopping destination for Auburn, AL, customers, who enjoy outstanding service with every visit – services such as Tires for Life, ToyotaCare no-cost maintenance with every new Toyota purchased, the largest used car selection in West Georgia/East Alabama, complimentary WiFi, customer lounge with a coffee bar and kids’ play area, and service loaner vehicles.Settled in 1836 and incorporated in 1839, the city of Auburn is the largest in eastern Alabama. It’s also home to Auburn University, and U.S. News ranked the city as one of the top ten places to live in 2009, probably because of its fine attractions and landmarks. Outdoor enthusiasts can enjoy the beauty of Chewacla State Park, while supporters of the arts regularly visit the Jule Collins Smith Museum of Fine Art and the Telfair Peet Theatre. Many city celebrations are held at the Toomer’s Corner intersection, and another popular landmark is the Auburn University Chapel, which is now the oldest public building in the city. From Auburn, AL, LaGrange Toyota is a short drive up I-85 to Georgia Exit 18, and then less than two miles to 1221 Lafayette Parkway. Come see us today for your next vehicle!